Product #60700 | SKU OR-112 | 0.0 (no ratings yet) Thanks for your rating! The new Productions Umbrella XL was designed to protect the user and their gear while working outdoors. 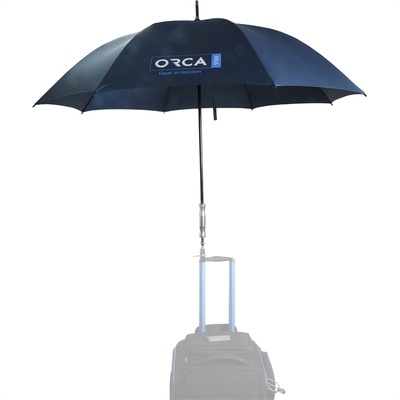 The Orca XL Production Umbrella helps protect your gear from foul weather and sunlight. The umbrella features an aluminium handle with a 0.95cm female thread for attaching it to a tripod, stand, or other gear. Photographers will appreciate the large 130cm diameter, and strong fibreglass rods.